Know how Damco can help drive your business success with powerful ITeS and Business Support services. Set up a complimentary consultation to discuss your requirements. 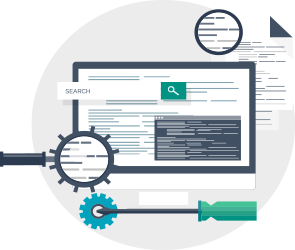 Damco caters to researchers all over the world with general, marketing, educational, and technical based web research services. We are an eminent web research company offering a wide range of online research services including data mining, data cleansing, web search, address and email search, tracking and harvesting records and raw data from a screen or a website, online research and database creation. Damco is one of the few data research company who uses the most modern web research technologies and tools in order to help you reduce time to market and engage and satisfy customers. With confidentiality assured, we offer a high and accurate research output rate. At Damco, we are of the opinion that the quality of data is one of the most critical factors in the success of a project. Our online data collection services ensure that we provide our clients with sources and data that have been carefully scrutinized. We ensure that the quality of our data respondents and web sources is maintained. Our process ensures that we exclude duplicates and provide you with relevant data. We have the capability to build automated tools to ensure a large volume of data is scrapped from any website. Our fast and flexible data collection process can provide solutions to save the client’s time and reduce cost. 20 years of domain expertise in the execution of data entry and management projects to enable efficient, thorough and accurate output for different industries. Without accuracy in data entry and processing, outcomes may mislead and confuse the data analysts and insights will deviate from the goal. Our data entry experts truly understand the idea behind the process and strive to generate an exponential amount of leads for the clients. Surveys and forms tell you what other sources can’t. We get you authentic results as we take this process very seriously. Our numbers are the best in the industry. Headquartered in Princeton, New Jersey supported by multiple offshore offices. Over 1600 strong team with tech excellence across continents. Realtors and mortgage companies need to have easy access to real-time data. Damco’s data entry and data management solutions are tailored specifically for the real estate/mortgage sector to improve operational efficiency and build a scalable environment besides saving their time and cost. With a wealth of over two decades of experience in offering innovative and end-to-end solutions for the banking and financial institutions, we provide better products, services, and a superior customer experience to ensure transparency, quality, and cost-effectiveness. Damco Solutions help you gain insights on the target audience, forecasting marketing trends, evaluating competitors’ strategy with a broad range of web research services, thus helping marketing and web research clients make informed decisions. Share your contact information in the form and we will touch base with you soon.